Throughout the U.S., the cost of constructing a new home continues to skyrocket at record rates. Regardless of the current state of residency, the cost of constructing a new home has reached epic levels, with no end in sight. With mortgages rates rising to record levels, many seeking to build a new home are left with no alternative but to remain in their existing home. Existing home value is often determined by a lending institution with the aid of an qualified appraiser. With many factors taken into consideration, appraisers often overlook a factor that has consistently increased the value of an exiting home by a minimum of 35 percent: the interior of the home. Without depleting savings accounts or forcing a homeowner to cash in an IRA, interior remodeling of kitchen and bathrooms can and often does increase an exiting home value by a minimum of 35 percent – and in some cases, upwards of 60 percent. Make a plan. Detail a well-formulated plan on the interior upgrades that will add the most overall increased value to your existing home without going into debt or taking out a high-priced home improvement loan. Seeking advice from a local qualified home sales professional will introduce you to the latest trends and styles that are appealing to the masses of home purchasers. Most qualified home sales professionals will advise that the two rooms in any existing home that attract the most attention are the kitchen and the bathroom. 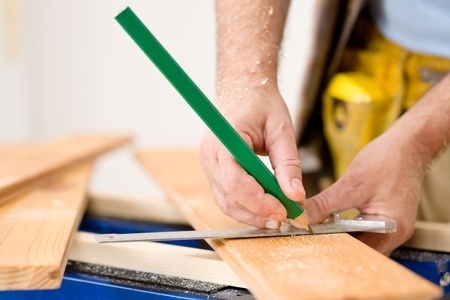 Set a budget for any home improvement project, regardless of its size. Knowing what you can afford before starting any remodeling and sticking to the pre-set limit will keep the remodeling process on track without over-spending, a common failure of many home improvement projects. Watch daily expenditures religiously and look for material cost overruns that may need to be brought under control. Seeking out a reliable contractor to undertake any interior remodeling is a must. Contacting the Better Business Bureau in your area will give some insight as to a reputable contractor with experience in this field. Today, many online websites will pre-search a reputable contractor for you, saving you endless amounts of time conducting what can seem to be a never-ending task in searching for a contractor. Always check for proper licensing and insurance, which are both required by many city municipalities and state agencies that regulate all licensed contractors operating within any given state. According to the NAR (National Association of Realtors), proper adaptation to the renovation of existing kitchen and bathrooms in an existing home will increase overall existing home value from 35-60 percent. Based on the national average value of an existing home of $200,000, remodeling of existing kitchens or bathrooms will increase the overall resale value from $70,000-$120,000, depending on the extent of the interior renovations undertaken and the materials used. As the cost for new home construction continues to rise, interior renovations of existing homes will generate remarkable returns on initial investments that will last a lifetime.